The Pattern Matrix finally combines the inside-out precision of tracker arrangement with a big, birds-eye view of your music – and some people are already hacking it into a live performance instrument. Smarter signal routing across tracks and through “meta devices,” along with clever inventions like the “Signal Follower,” give you sidechaining and more. Render Plug-ins to instruments, samples – the resource-saving advantages of freezing tracks, but without sacrificing any playability. Enhanced MIDI mapping, internal effects, more. None of these additions is like to make Renoise a mainstream hit, but then, that’s not the point. 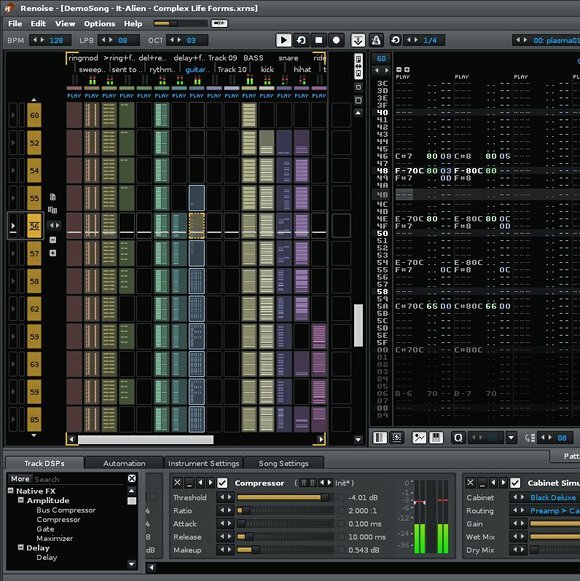 What it could do is expand Renoise’s already passionately-loyal user base to a new crowd, and encourage users to find expressive new ways of producing music with computers at a time when some of those processes have become stale. Thanks to its recent support for ReWire (plus JACK on Linux), it also doesn’t mean you have to sacrifice what you love about your host of choice; it can be part of your existing workflow. Renoise’s new Pattern Matrix, a different take on how to view music, alongside the more traditional tracker view. The enhanced meta-instruments appear at bottom. This isn’t the end of the story with Renoise, however. Dac confirms to CDM that they are working on support for OSC and easy extension of Renoise’s capabilities through Lua scripting — even without any official promises, that’s exciting news. It could make Renoise easier and more powerful for control and customization.